Author Estelle Cooper’s newly released “An Otters Tale” uses the story of an Otter named Gilmore to teach the power of faith and the importance of seeing inner beauty. “An Otters Tale” from Christian Faith Publishing author Estelle Cooper is the story of a lonely Otter named Gilmore who just wants to find someone who will swim with him. By finding the faith to overcome every obstacle and see the inner beauty of others, he will find a home. “An Otters Tale”: a story about finding the faith to overcome obstacles and see the inner beauty of others. 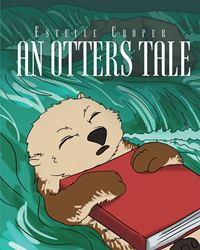 “An Otters Tale” is the creation of published author, Estelle Cooper. Estelle Cooper was born in South America, but she was raised in New York City. She is a supporter of CBN ministries who believes the foundation of success is to be a servant first. She has devoted her life to writing faith-inspired stories to help others see God’s love. Her primary goal is to witness and reach the audience that is the future: children. Published by Christian Faith Publishing, Estelle Cooper’s new book teaches young readers the value of faith and inner beauty. As a lost otter in search of finding his way home, Gilmore encounters many of the challenges Christians face throughout their lives. Finding the faith to carry on and overcome obstacles has always been the answer. Gilmore hopes to find someone who will swim with him, someone who is just like him. Looking beyond their physical appearance, however, he sees the beauty and strength of others as he struggles to find his home. View a synopsis of “An Otters Tale” on YouTube. Consumers can purchase“An Otters Tale” at traditional brick & mortar bookstores, or online at Amazon.com, Apple iTunes store, Kobo or Barnes and Noble. For additional information or inquiries about “An Otters Tale”, contact the Christian Faith Publishing media department at 866-554-0919.